This is the Hollywood and Highland shopping centre at 6801 Hollywood Blvd., Los Angeles. Look at the archway. 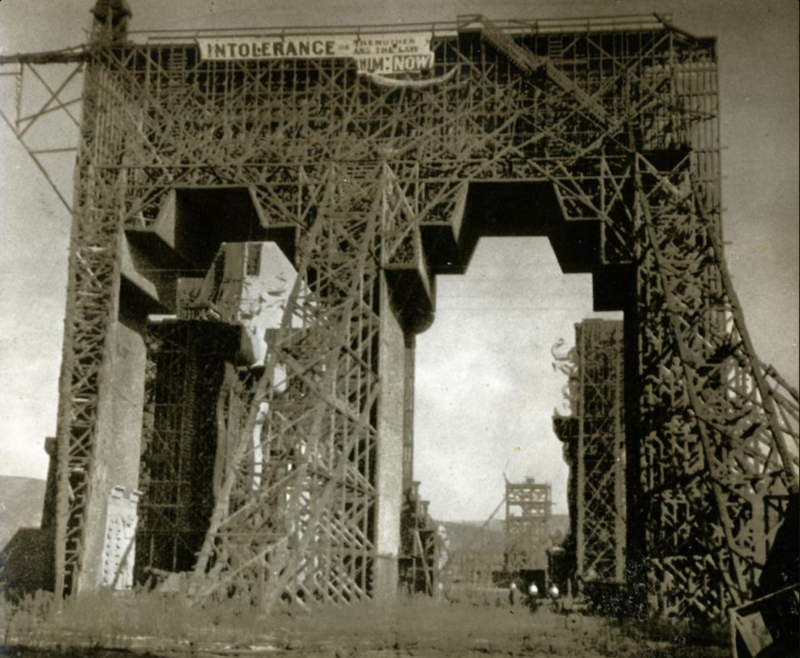 It’s a 12-storey structure based on the Babylonian set from the 1916 film, Intolerance: Love’s Struggle Throughout the Ages, and it’s built to scale. It was. Historian Gary Krist, author of The Mirage Factory, says at the time, Intolerance “had already taken longer to shoot than any other motion picture in history”.¹ Director D.W. Griffith started shooting the film in October 1914, and he was still at it in the spring of 1916. Because production was taking so long, Krist says Griffith resorted to selling shares after his New York backer cut off funding, and other long-time investors started to panic. Griffith assured everyone his new film would be a bigger hit than his previous project, The Birth of a Nation. It wasn’t. Griffith’s new film was eight hours long, but he was forced to chop it down to three, because what theatre owner wants to show an eight-hour movie*? Although the film was enthusiastically received during its New York premiere – and, later, in Europe – ticket sales soon flatlined. The losses weren’t Completely Ruinous for Griffith, but he was left with some onerous debt. Basically, Intolerance is a catalogue of human suffering. Among its themes are imprisonment and abandonment, oppression and persecution, theft and betrayal. But we’re also treated to Spectacle: innovative camera angles, lots of actors, lavish sets. The film has an intriguing structure, weaving together four historically disparate stories from Babylon (539 BC), Jerusalem (33 AD), Paris (1572 AD), and “modern” day (1916 AD). Curiously, most of the main characters are women at odds with Authorities. Griffith is impressively consistent with the pacing of each story, and when the action intensifies in one, it intensifies in all. So when a crisis arises in Babylon, for example, we’re bounced into Paris to see the situation deteriorating there, too. Being flung in and out of historical eras, we discovered, is unexpectedly exhilarating. Why did Griffith make Intolerance? Ah, yes, the controversial The Birth of a Nation (1915), the anti-miscegenation film of grandeur and tribute to the Klu Klux Klan. Discussion of this film is beyond our scope today, but you can read essays here and here. And what of that gorgeous Babylonian set with its 200-foot-high archway? Griffith didn’t immediately dispose of the set, although he did use some of the ruins in his film, Hearts of the World (1918). He didn’t have the funds – and/or the desire – to pay for its destruction. The LA Fire Department designated the set a fire hazard and ordered its removal. Yet, it remained on Sunset Blvd., deteriorating, until 1919 when it was finally torn down. Today it’s the site of the Vista Theater, which opened in 1923. Intolerance is now called a landmark by many film historians, and the AFI placed it at #49 on its list of 100 Greatest American Films of All Time. 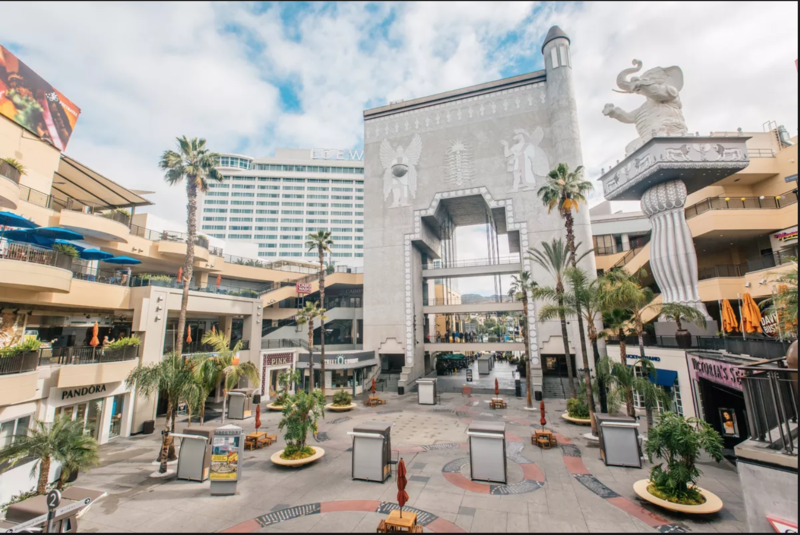 As for the Hollywood and Highland Center, it opened in 2001 as part of a campaign to revitalize Hollywood Boulevard. *Griffith’s plan was to show the movie in two parts during two successive evenings. Krist, Gary. (2018) The Mirage Factory: Illusion, Imagination, and the Invention of Los Angeles. New York, NY: Crown Publishing Group. Intolerance: Love’s Struggle Throughout the Ages starring Lillian Gish, Robert Harron, Mae Marsh. Written & directed by D.W. Griffith. Triangle Film Corporation, 1916, B&W, 197 mins. Haha! You got that right, although there are some gangster-ish activities in the “modern” story. I’ve always wanted to see this film, just for the bragging rights, and I ended up enjoying more than I thought I would. Yes, but did you watch the 8hr version? Haha! No. I don’t want bragging rights that badly. Wow! I passed that archway all the time when I interned in Hollywood and I never knew the history behind it! Great article too. I worked at Paramount on a Nickelodeon show. Hi. I’ve never seen any of his movies. To be honest, I don’t think I’d have the patience. But that’s just me. Thanks, Neil! The film does start a little slow, but it really picks up speed especially towards the end. I liked how it was edited. 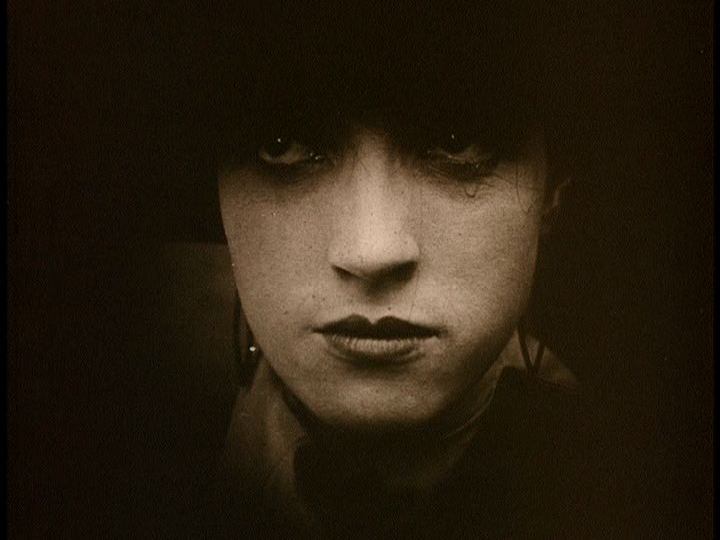 That still of Miriam Cooper is haunting and beautiful. The film sounds like it puts you through the wringer! Isn’t it a haunting image? Her character in the film is a bit frustrating, but her portrayal is good, I thought. Wow! Ruth, this is excellent! Thank you for this. I’m not sure if I can get through this film, but I sure appreciate you watching it and reporting on it for me. Bravo! I absolutely love how thoughtful everything you write is…. Haha ! Thanks, Sarah. I’ve been wanting to see this for a long time, just to be able to say I watched it. I did enjoy it – I fact, I think I would see it again. It is inspiring that a 2001 revitalization plan would reach back to 1916 for an emblem of such magnitude. I didn’t find Intolerance disjointed. Long, yes, but disjointed, no. As you say, being flung in and out of historical eras can be exhilirating. It is interesting they would draw inspiration from a 1916 film, isn’t it? I love how closely the modern arch resembles the set, including the pillars topped by elephants. Fabulous! It is interesting history, isn’t it? It’s admirable the developer would base the design on such an old movie, and make the design so similar. I can’t tell you how many times I’ve driven by that arch and wondered what the story was there. You’ve answered all my questions for me!! 🙂 A great post, thanks so much! Fascinating story, isn’t it? And I love how closely the new arch resembles the one in the film – down to the elephants on the pillars. Interesting article! I’ve never heard of this movie or shopping center, but it is fascinating to see the connection between these concepts through architecture. Keep up the good work! Thanks so much! The archway is something to see in person – grand and impressive. I like that it’s such a detailed homage to the film. I saw INTOLERANCE in high school. It was probably my fourth silent film! Wow – your high school showed the film? What were some of the reactions from your fellow students? For that matter, what were your reactions? When I was at the TCM Festival a few years ago this (and those elephants) took my breath away. I am a great admirer of Griffith. No doubt he’s complicated, but his films are priceless. Plus – I am always intrigues by Miriam Cooper, so it’s great to see her photo! Lovely post about an important subject. Thanks, Marsha! When I was in Hollywood, a few years ago, I thought of all those extras marching up and down the Babylonian set everytime I went up those steps. It would’ve been thrilling to visit the Griffith set during production, no?